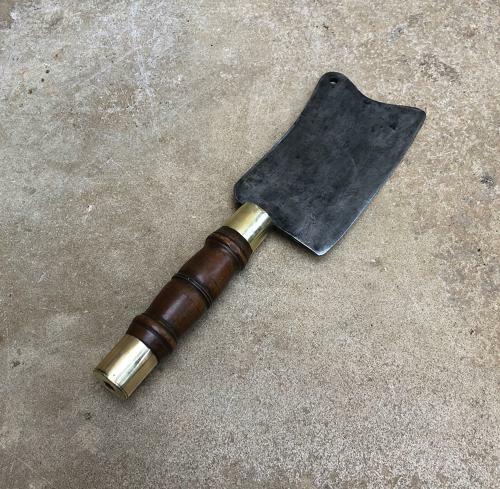 Superb Victorian Cleaver...Lovely Brass Bound Treen Handle and Steel Blade. Heavy, lovely quality. Fully useable.